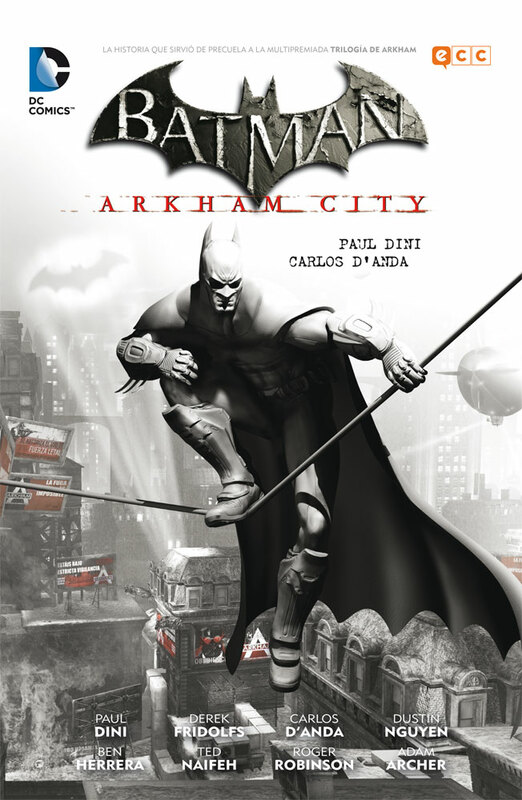 EDICIÓN ORIGINAL: Batman: Arkham City núm. 1 a 5 USA, Batman: Arkham City Digital Chapters núms. 1 a 5 USA || FECHA PUBLICACIÓN: Octubre de 2015 || GUIÓN: Derek Fridolfs, Paul Dini || DIBUJO: Adam Archer, Ben Herrera, Carlos D'Anda, Derek Fridolfs, Dustin Nguyen, Roger Robinson, Ted Naifeh || FORMATO: Rústica, 168 págs. A color.